Disclaimer: Purchased by me at a discount. Hi everyone! Today we're finally back to makeup! 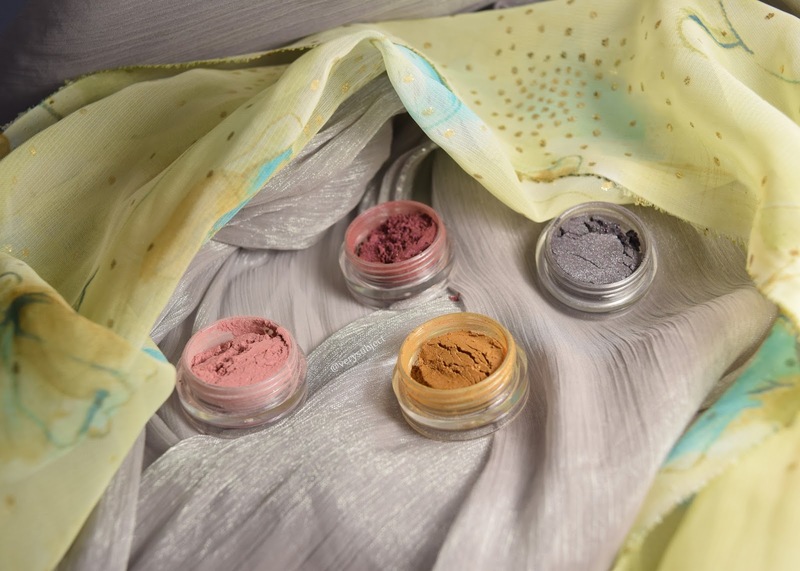 I recently heard of The Frisky Pixie through Instagram, and they were running a great promotion for anyone who wanted to try their eyeshadows. I haven't been buying much makeup lately, but I couldn't pass up the chance to buy four shadows for nothing but the price of shipping! I received four eyeshadows in shrink-wrapped 3g pots without sifters. 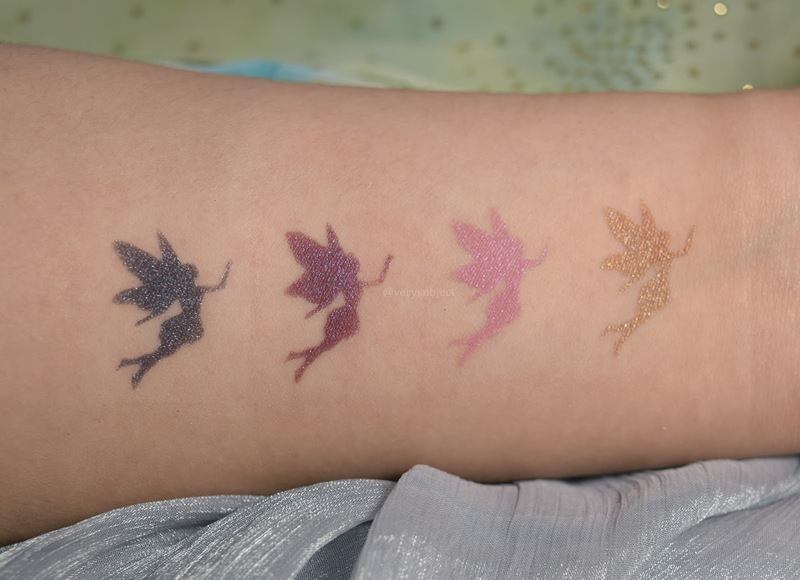 I do prefer sifters in my shadows because I can be a bit clumsy at times, and I did end up spilling some of one color into another after I had finished swatching them. 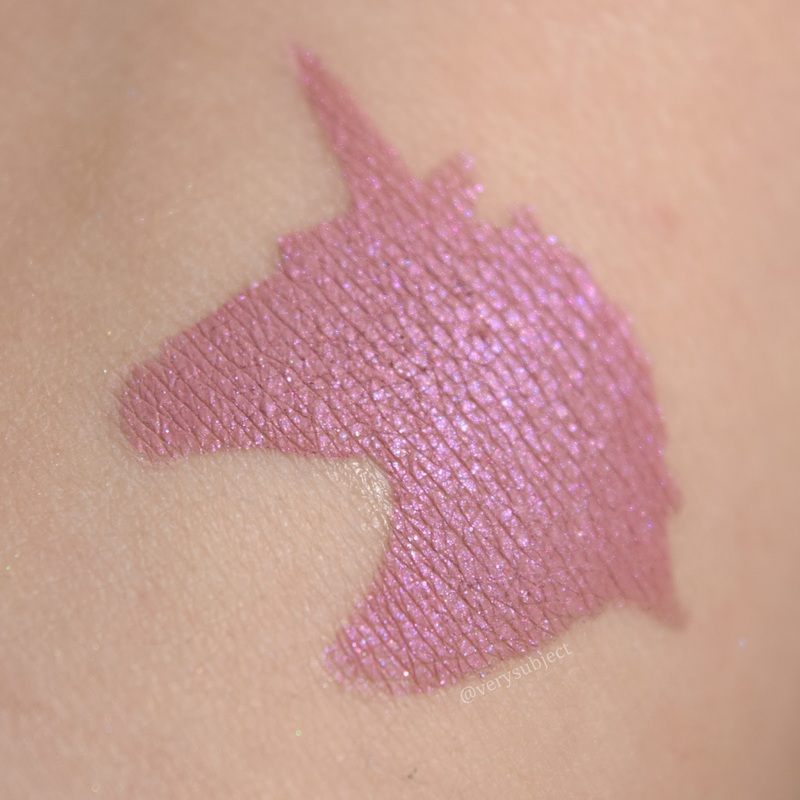 The formula is well-pigmented and creamy, although I do wish the shimmer was a bit bolder. 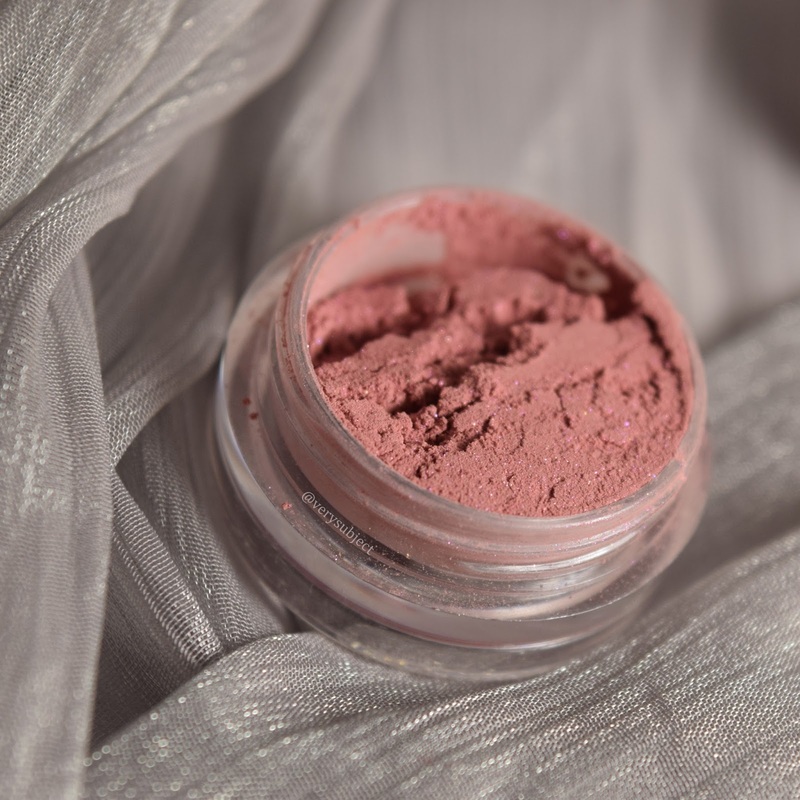 Although there is shimmer in all the shades I received, many of them come across more as mattes or satins and would probably contribute better to a more subdued look. The four colors I received were: Imprint, Whimsy, Chaos, and Addicted. 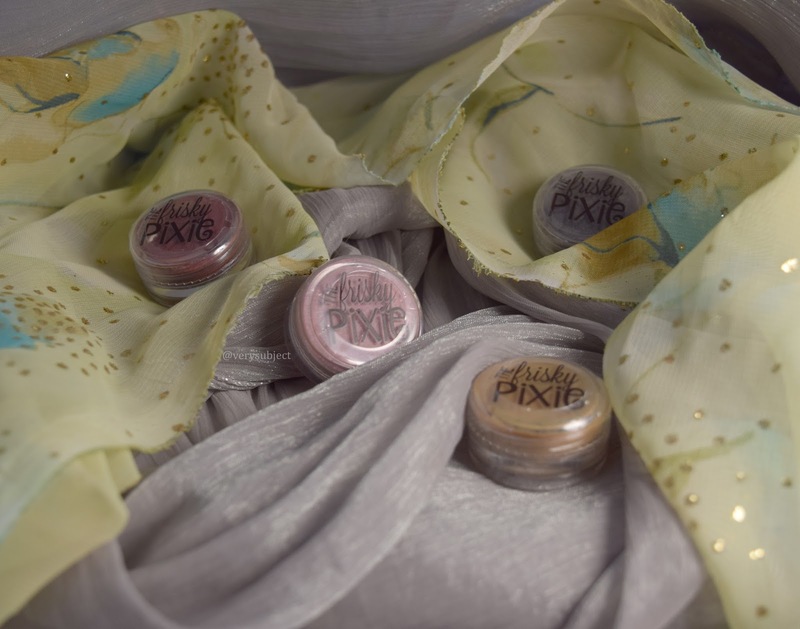 As this was a mystery pack with potentially limited edition, discontinued, or upcoming shades, only Whimsy is currently available on The Frisky Pixie's Etsy page. The pixies (see what I did there?!) 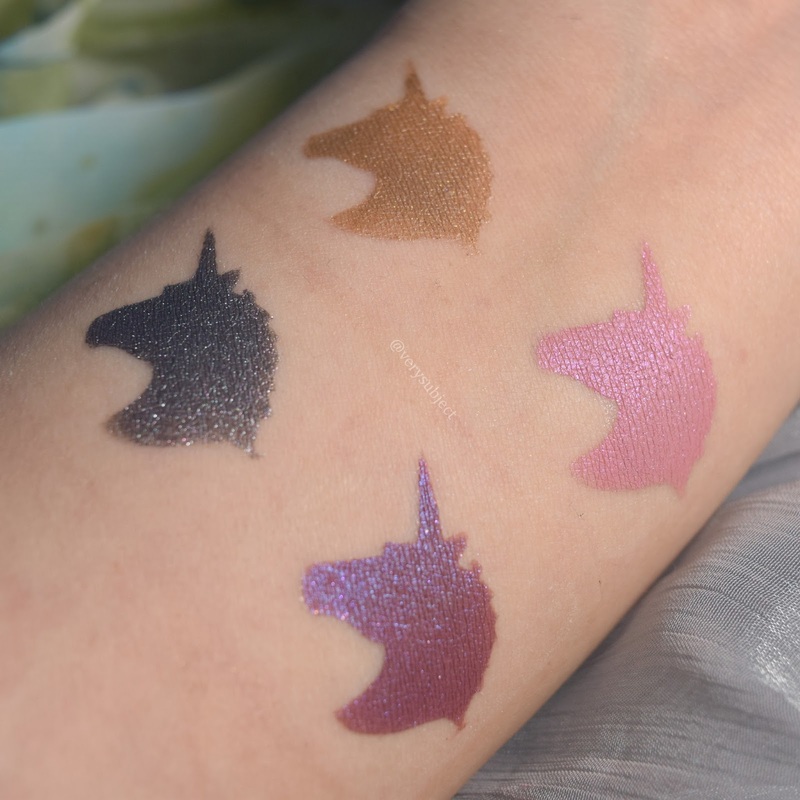 are over Femme Fatale Shadow Magic and the unicorns are over Hello Waffle Enchantment. Imprint is a mustard yellow with a goldenrod lean and rainbow sparks, the most prominent of which were green. Although my pictures make it look pretty shimmery, I found the shimmer to be more subtle in person and I was mostly left with the mustard yellow matte base. Because of the matte base, the shadow darkened a bit over Enchantment, which brought out the brown tones of the mustard more. With Shadow Magic, I found it to be more of a goldenrod. 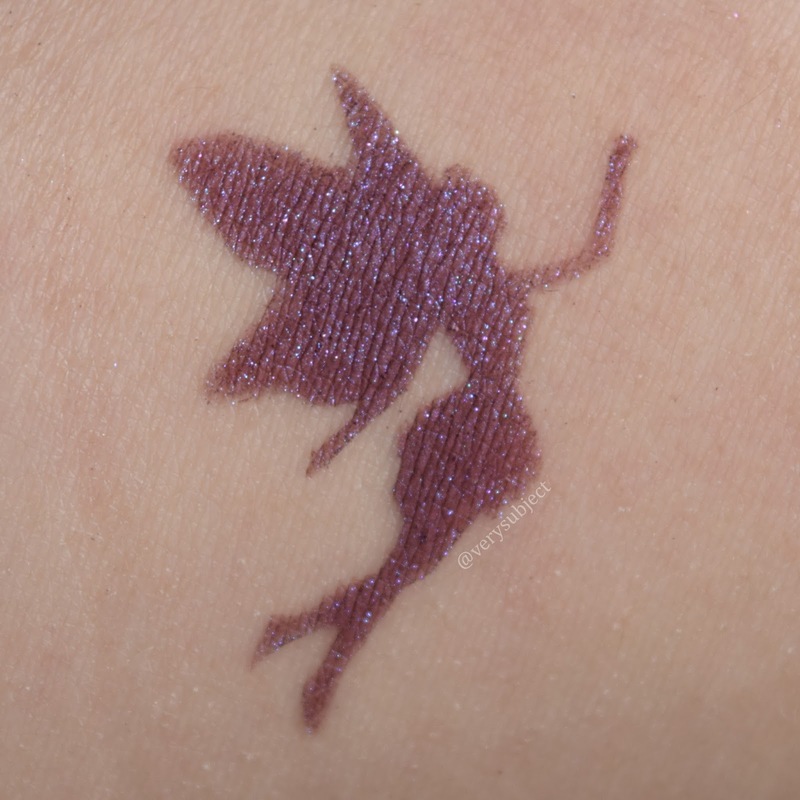 Whimsy is a satiny, slightly muted barbie pink with a very subtle purple/blue shimmer. 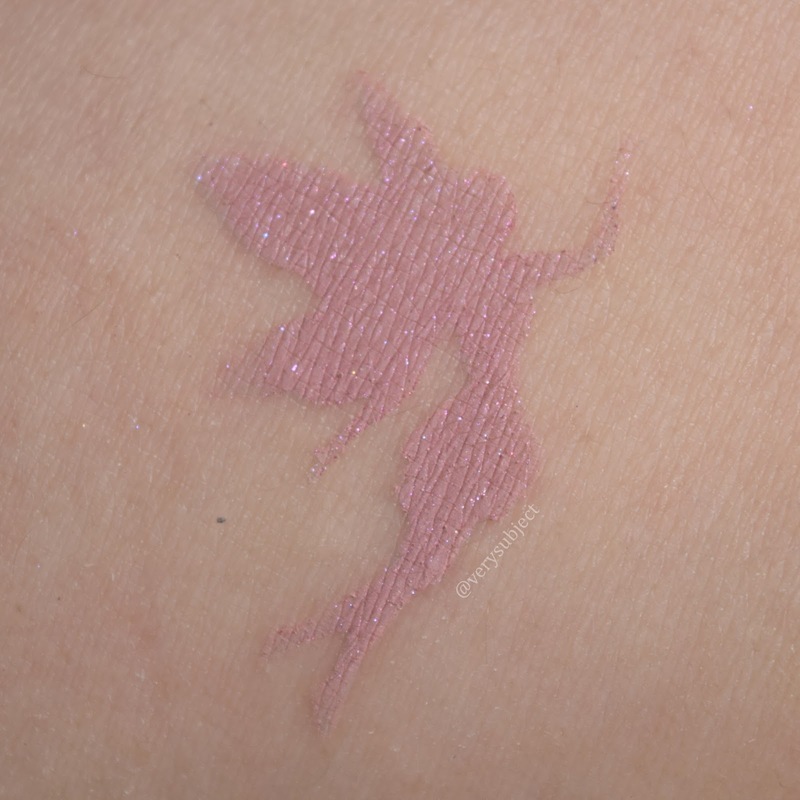 As this is currently available for purchase, I have The Frisky Pixie's description to share as well: "a demure (but never boring) dusty pink with a red/dark pink sheen that swirls in and out in the light." 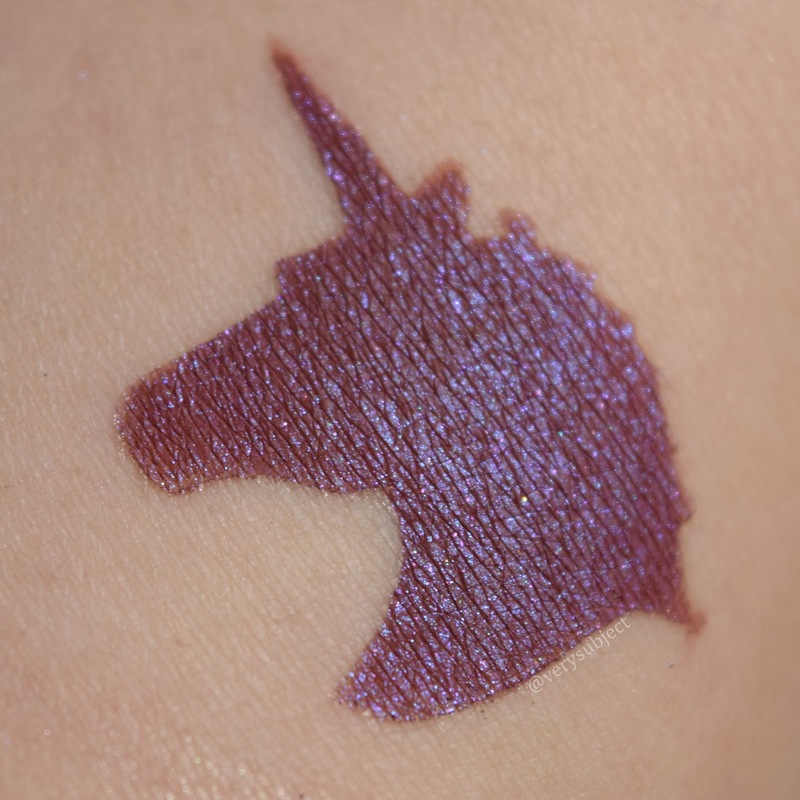 To my eye, the predominant shimmer is definitely purple, but I can see that there's some a more muted pink/red sheen that you can see at some angles. 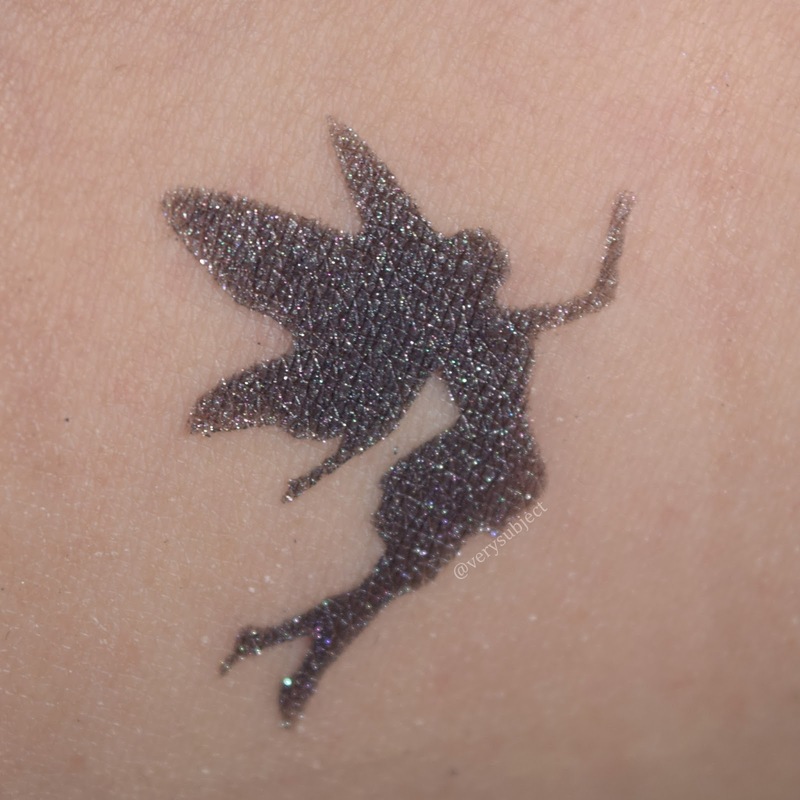 This was another one that came out darker over sticky primer than normal primer, due to the matte base. The overall shadow would definitely be appropriate for a more subdued look, but it could also carry its own in a brighter color scheme. Chaos is my favorite of the bunch! 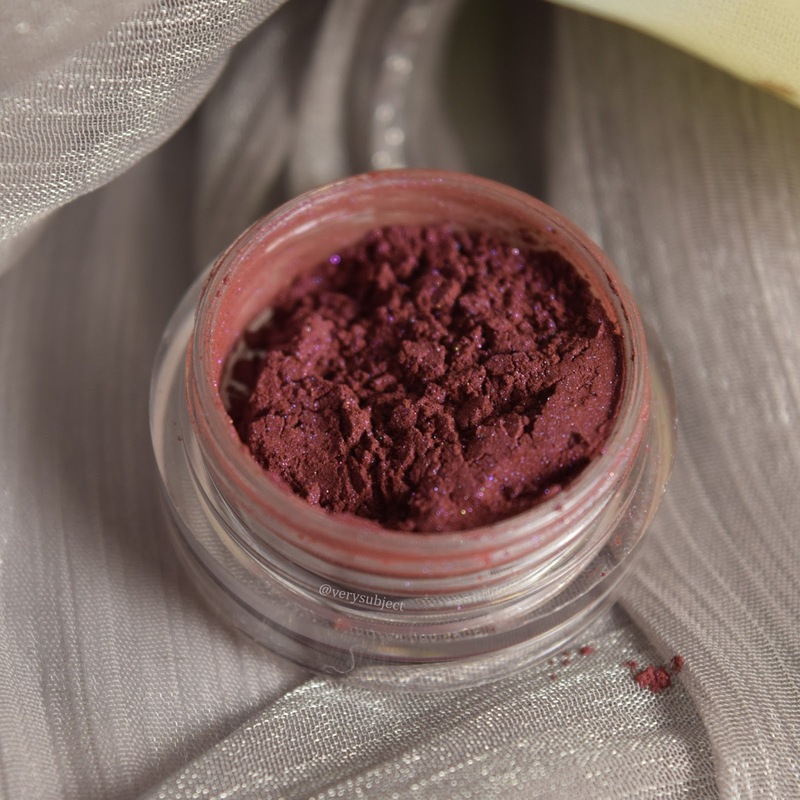 It's a wine-burgundy base with a blurple shimmer and some purple sparks. 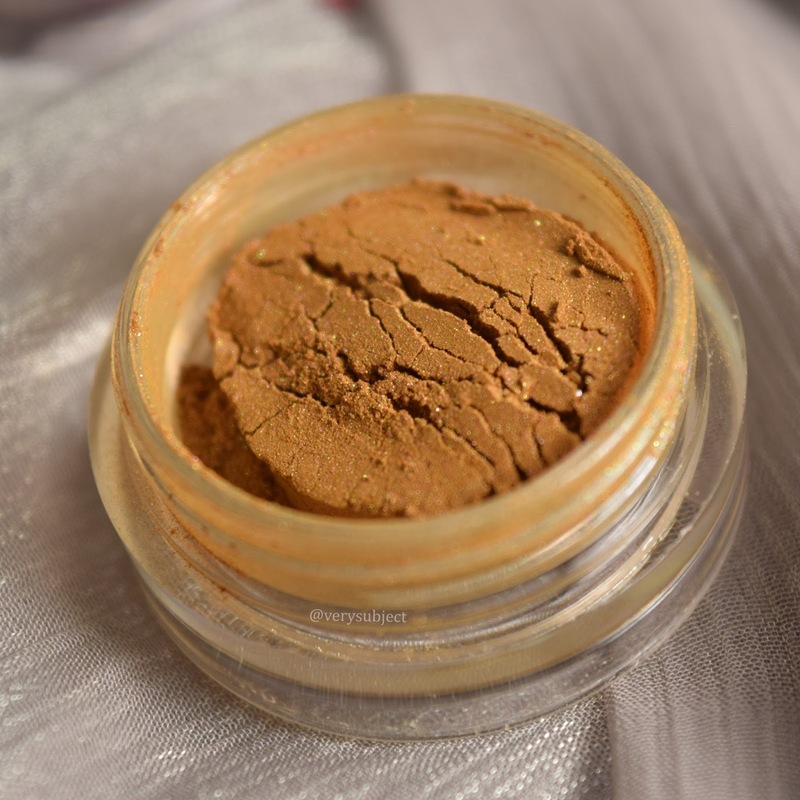 The shimmer can be subtle in lower lighting, but it's strong with direct light, and makes for that lovely duochrome effect that we're always chasing. 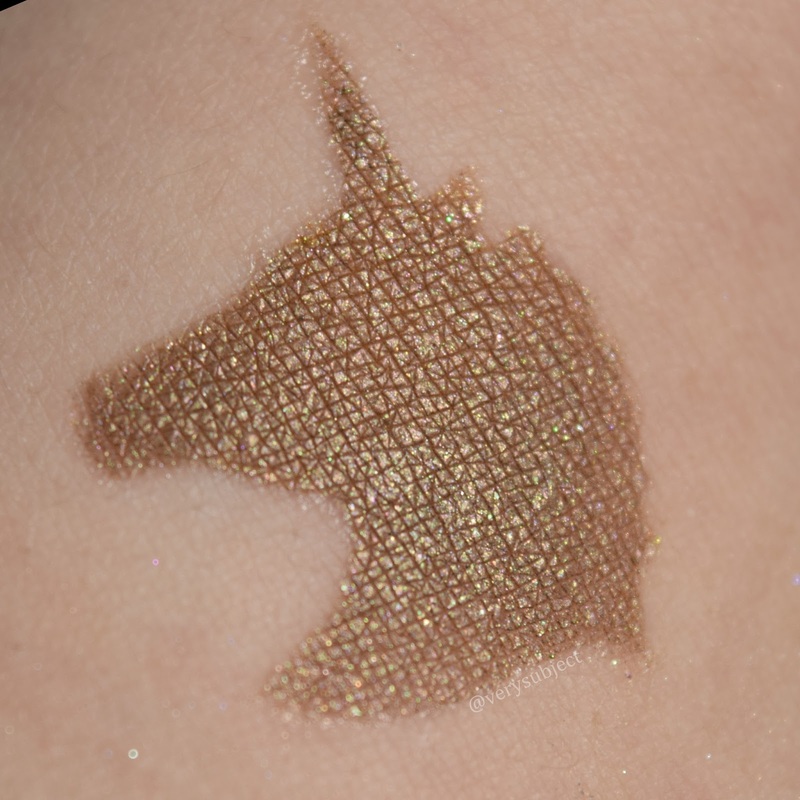 The shimmer applies perfectly evenly and the shadow is so, so smooth. 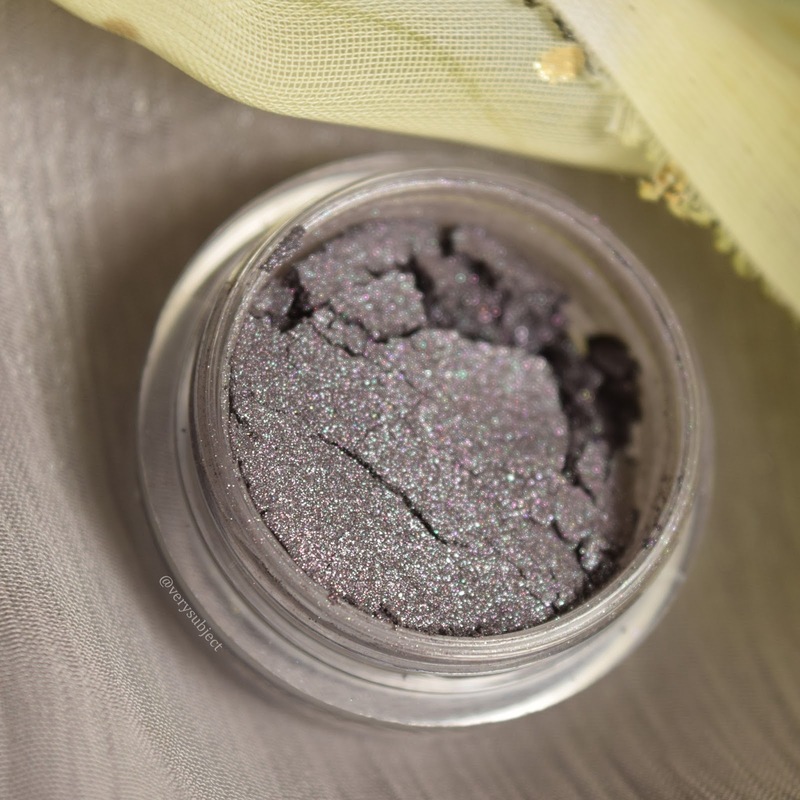 Finally, we have Addicted, a shimmery gunmetal pewter with multicolored sparkles that blend to grey when viewed at a distance, but still add this delicious multifaceted dimension to the overall effect. 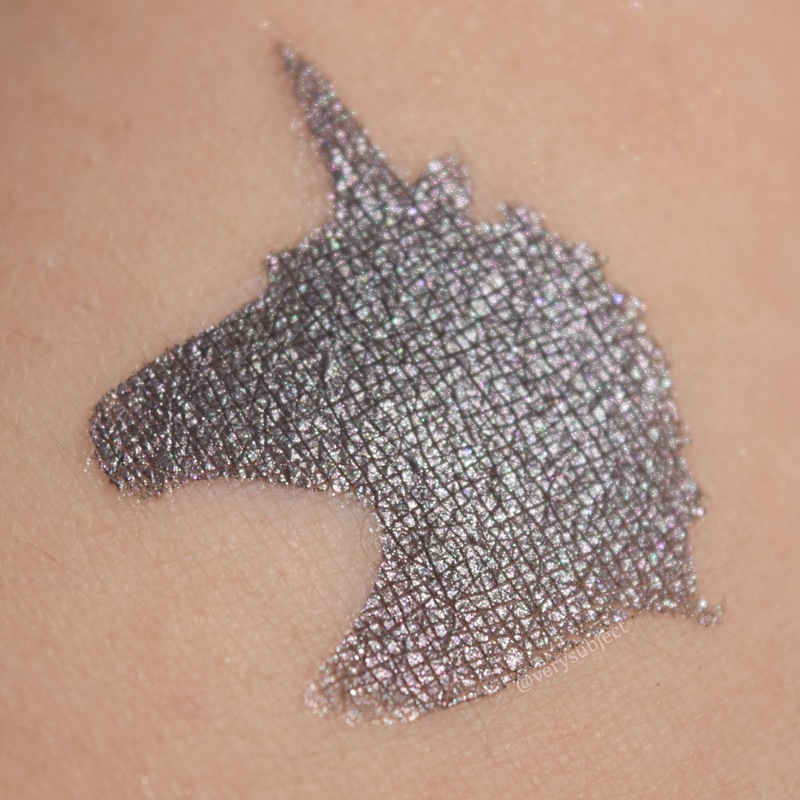 This would make the most excellent lid shade for a metallic smokey eye. 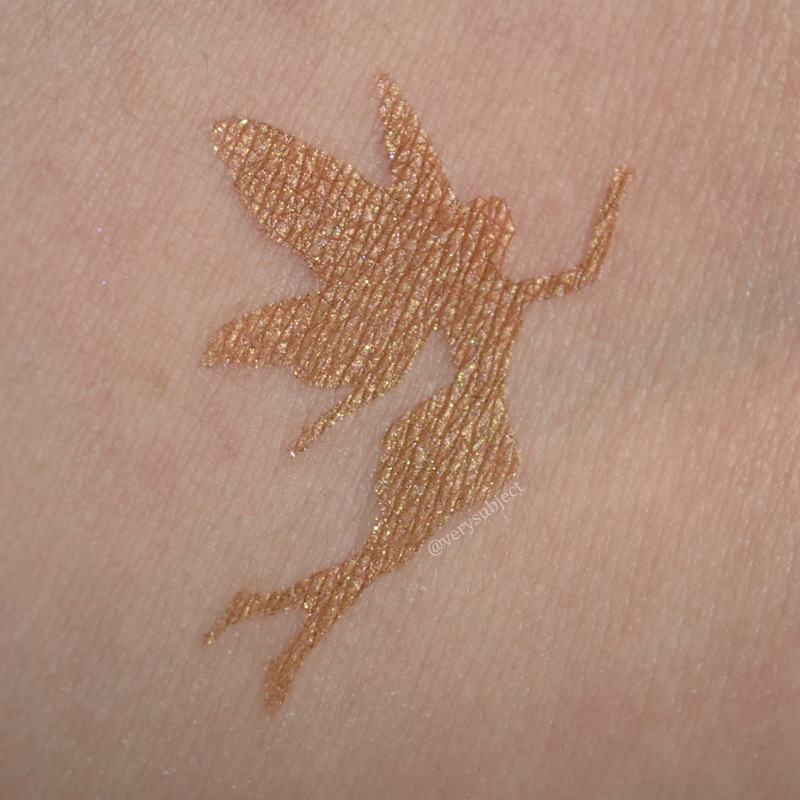 Unlike the others, this shade actually appears lighter over sticky primer because of the reflective effect of all of the shimmer in it. The base itself is pretty blackened. I would definitely recommend a sticky primer with this shadow to get the full effect. Yay, all finished! I feel like I should have done a look, but I wasn't feeling it today. You can find more from The Frisky Pixie on Instagram and Etsy. 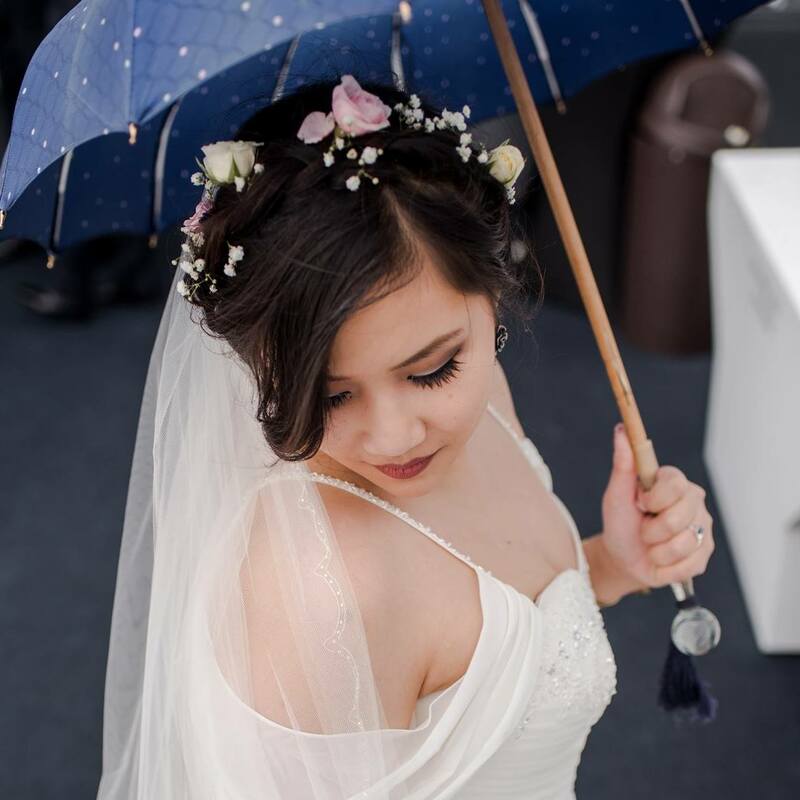 Meanwhile, I'm going to get back to my super glamorous life, which is at this point 75% moving, 25% swatching, and 100% wishing I were playing video games, lol. See you soon!